TIME FOR ANOTHER CHALLENGE WITH FOREVER FRIENDS! sponsored by Di's Digi Downloads for this challenge. The winner will recieve 3 digi images of their choice !!! Fantastic !!!! You MUST enter and have some fun!!! 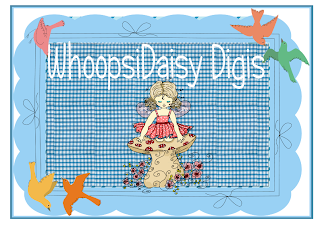 I used one of Di's Gorgeous Digi Images! I just ordered a FOREVER FRIENDS CD ROM and I am SO excited! It has 2000 digi images on it! So for my future FOREVER FRIENDS DT contributions, you should be seeing their adorable teddy! 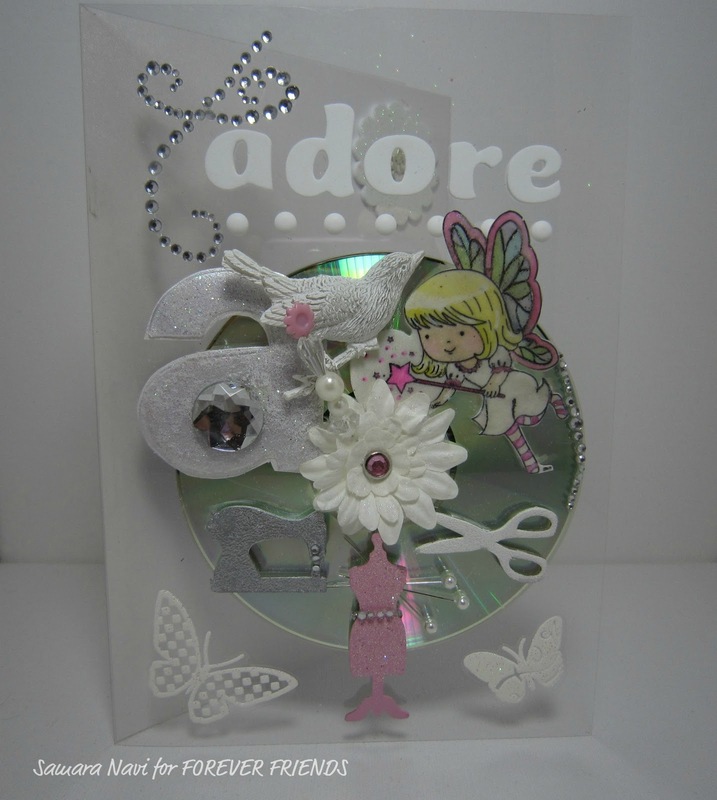 Please pop over to their site and see the absolutely gorgeous examples by the other DT and make sure to enter the WHITE AND SPARKLE CHALLENGE! 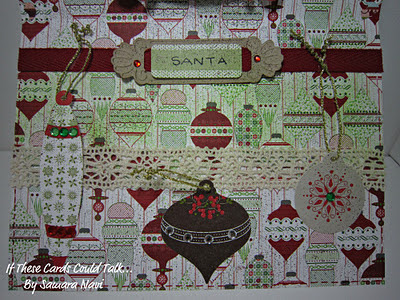 RED AND GREEN AND WHITE is the requirement for the Design Team at STAMP-N-DOODLE and for this week's Challenge. 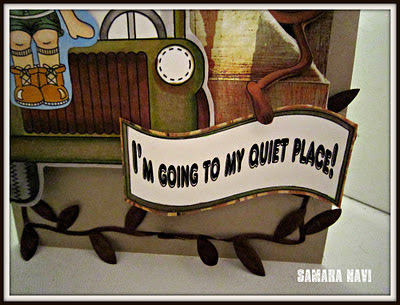 I wanted to take on something a little different for my DT card, so I chose a template style. 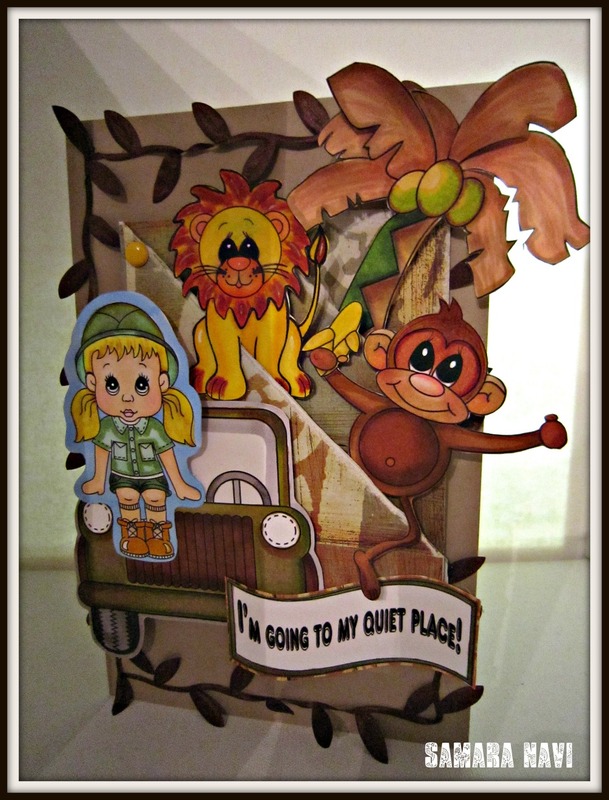 Be sure to pop over and enter STAMP-N-DOODLE'S challenge and look at the other Designer's cards! 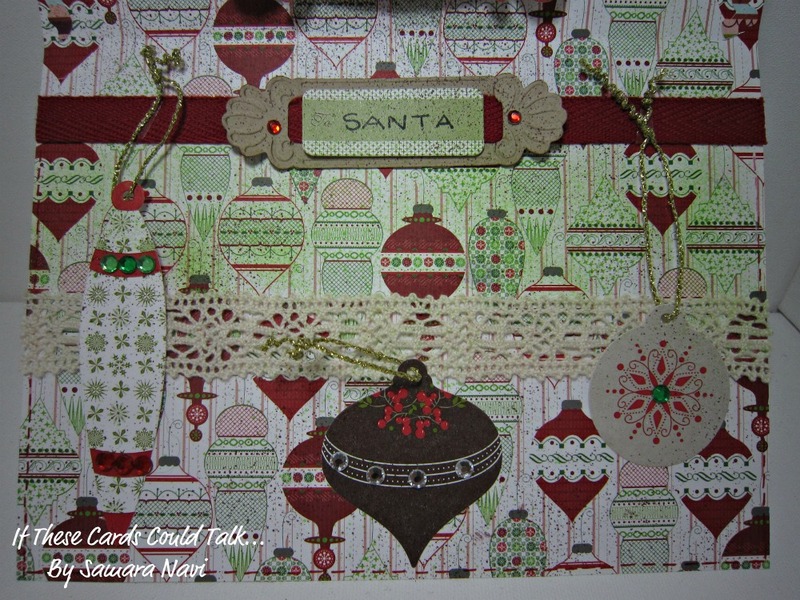 It should be a goodie week, given Christmas offers lots of options for this color challenge! The angle of the card was beyond my Photography skills! Being on Design Teams, I won't lie, presents a challenge to me; being naturally extremely "Bohemian", I have had to *ahem* pull in the reigns in order to take on my 'own' challenge and design for different companies. It has been wonderful, frustrating, challenging, exciting but most of all a transformational experience I continue to be thankful for. So here's to you! Thank you to the companies who use my art. AT FOREVER FRIENDS CHALLENGE BLOG! Welcome to see the new challenge at Forever Friends & co. The winner will have 3 digi sheets as a prize!! The design team over At Forever Friends have created some beautiful cards. Do pop over and see what they've done. In the meantime, here is my card, as part of the Forever Friends Design Team. 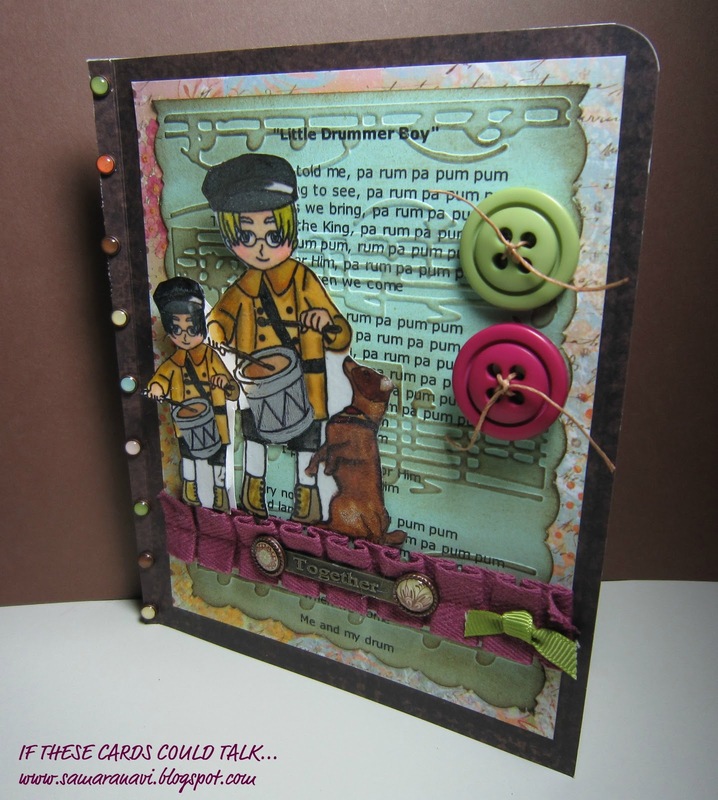 Don't forget to pop over and see Christine, Diane, Fae, Julie, Lizzie, Rachael, Renate, and Sande's Cards for Inspiration! 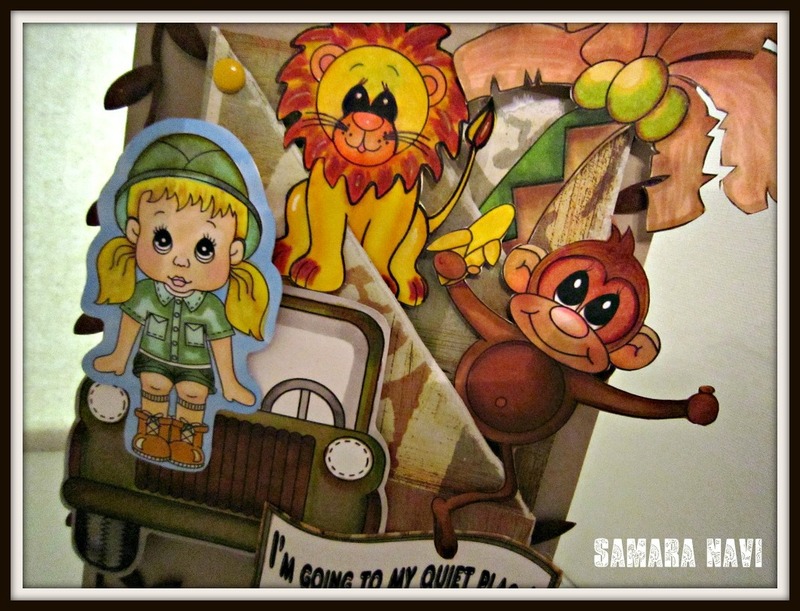 STAMP-N-DOODLE HAS A NEW CHALLENGE THIS WEEK! 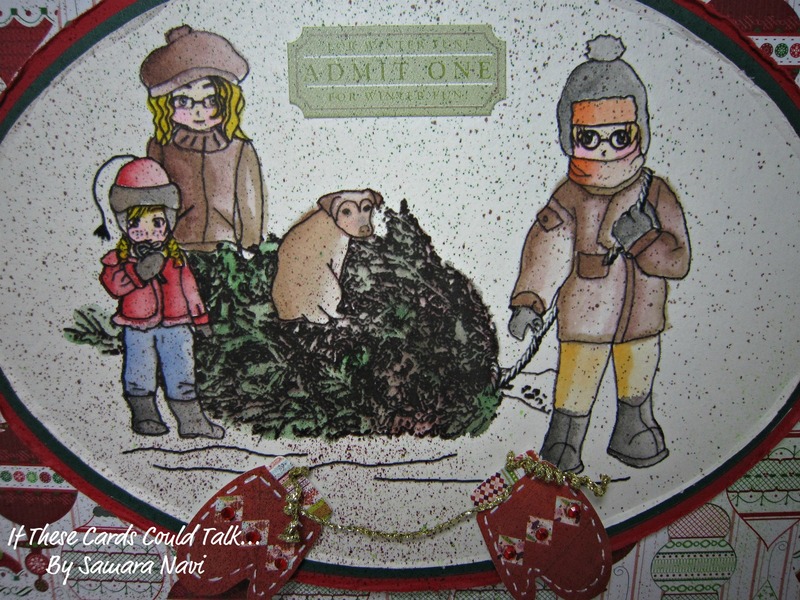 This particular Stamp-N-Doodle image - a skater who is taking a little flip, only to be held up by a friend, I find adorable! I can relate to this very well, as I am not a proficient skater. I hope you enjoy my rendition of the digi provided to the Team. Pop over to see the other member's of the Digi Team's Interpretation and give yourself a treat with the Challenge of Shiny and Sparkly! I think you just might enjoy this one. I'm going to my quiet place! Yup, this describes me - and how it never quite ends up the way I plan it!! I won the challenge for Delightful Delights Challenge Blog! How excited was I? VERY! I am NOT one to do a child's card, or a cutsie card. But I loved it! I found a very playful side of myself. Sometimes one never knows when the Self they never knew will be revealed. I hope you like my card.